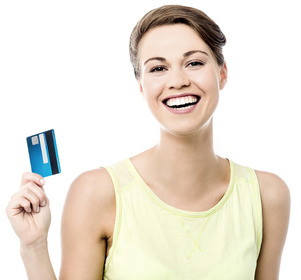 The Visa Signature card is made for people who live at the upper end of the spectrum. It gives you the ability to charge as much as you need to whenever you need to. No matter where you are in the world. Not only that it comes with some luxurious perks such as dedicated 24/7 customer service hotline. It also has one of the best rewards programs you’ll find available today. The rewards program is simple and easy to use. You’ll get points every time you swipe your card and can spend them at one of our exclusive partner stores. Then there’s the comprehensive insurance coverage which protects you against every imaginable accident or risk. With our insurance, you are safe from theft, damage, malfunction and loss. One of these is access to the Visa Signature Concierge. Our concierge service can be used to help you select gifts, find entertainment and will amaze you with their efficiency and attention to detail. Most importantly the Visa Signature card is gratefully accepted by more than 100 million merchants all over the world. And also to withdraw funds at over 2 million ATMs in our network. So no matter where you travel Visa will keep you safe and secure. Rewards – swiping your card will earn you points, and you can use these points for a wide range of products and even for exclusive travel offers. Visa Signature Concierge – Our concierge services can help you with travel plans. Finding local entertainment or to find a last minute gift. It can also give you updates on the latest technology or help you build a new wardrobe. Travel accident insurance – Something we hope you never have to use. Accident insurance protects you against becoming disabled or from accidental death which you are travelling. To get access to this complimentary travel insurance, all you have to do is pay for any travel arrangements you make with your Visa Signature card. Airport Privileges – You will receive 5-star pampering at all of our airport lounges, plus access to special deals available only to cardholders shopping in Asia. Access to hotel upgrades – The Visa Signature card gives you special access to hotel bonuses and upgrades at the world’s leading hotels. Specials for golfers – If you love to play golf you’ll love this. Visa Signature cardholders enjoy access to over 300 heavily discounted top of the line golf clubs. These clubs come from all over the world and are available exclusively to Signature card holders.